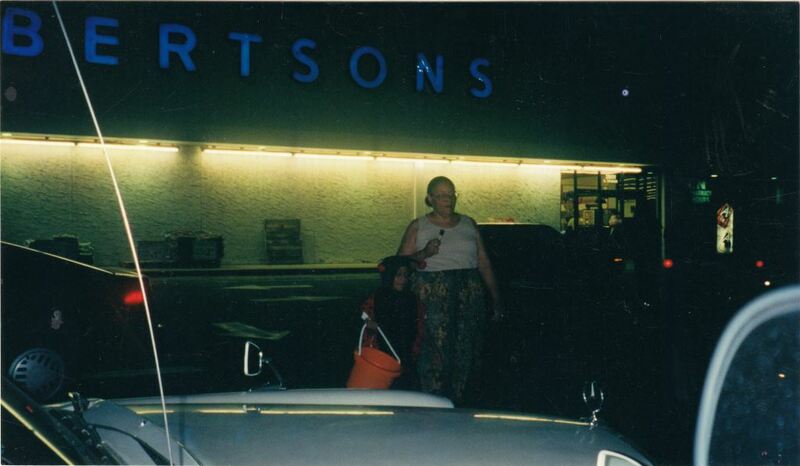 Dedra Jenkins and her son, Nathaniel Jenkins, trick-or-treating outside of Albertsons grocery store, which was located on Orange Avenue and Michigan Street in the Parramore neighborhood of Downtown Orlando, Florida. Original 4 x 7 inch color photograph: Private Collection of Dedra Jenkins. Digital reproduction of original 4 x 7 inch color photograph. 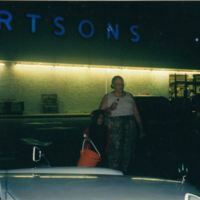 “Nathaniel Jenkins and Dedra Jenkins on Halloween.” RICHES of Central Florida accessed April 24, 2019, https://richesmi.cah.ucf.edu/omeka/items/show/7803.